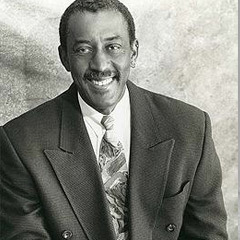 Born in Rochester, New York, jazz drummer Roy McCurdy studied at the Eastman School of Music under Bill Street. McCurdy worked with the Mangione Brothers group (Chuck and Gap Mangione) in the early 60’s and later joined the Art Farmer Jazztet and then went with Sonny Rollins. Following Sonny Rollins he became a full time member of the Cannonball Adderley Quintet from the mid-60’s, traveling internationally with the group, including a particularly successful tour of South America in 1972. In his spare times, McCurdy he does studio work for NBC movies of the week, and is featured on various record dates. When Adderley passed in July 1975, McCurdy started touring with Kenny Rankin. He also played on commercial jingles with Benny Golson and gigs locally with both Golson, Jerome Richardson, Pat Senatore, Peter Christlieb, Conte Condoli, Ruth Price, Jack Sheldon, Super Sax, Robin Ford and The Cunninghams to name a few. He has toured and has worked with: Blood Sweat & Tears, The Pointer Sisters, John Klemmer, Toshiko Akiyoski-Lew Tabackin Big Band, Sonny Rollins, Art Farmer-Benny Golson, Betty Carter, Kenny Dorham, Lee Morgan, Freddie Hubbard, Bobby Timmons, Ron Carter, Harold Land, Bobby Hutchinson, Kenny Burrell, The Count Basie Orchestra, Donald Byrd, Teddy Edwards, Herbie Hancock, Coleman Hawkins, Joe Henderson, Milt Jackson, J.J. Johnson, Jackie McLean, Carmen McRae, Oscar Peterson, Bud Powell, Jimmy Smith, Horace Silver, Martial Solal, Sonny Stitt, Clark Terry, McCoy Tyner, Joe Williams, Larry Young, Ernestine Anderson, Chris Conner, Sonny Clark, Kenny Drew, Billy Eckstine, Chuck Mangione, Eddie Harris, Don Ellis, Shorty Rodgers, Stanley Turrentine, Dionne Warwick, Hubert Laws, Charles Lloyd, Hampton Hawes, Patrice Rushen, Joe Sample, Blue Mitchell, James Moody, Mark Murphy, Bud Shank, Eddie “Cleanhead” Vincent, Wes Montgomery, Sarah Vaughn, Ella Fitzgerald and Bill Henderson. McCurdy is presently starting his 26th year with Nancy Wilson. McCurdy has recorded with: Sonny Rollins, Art Farmer and Benny Golson Jazztet, Bobby Tmmons, Cannonball Adderley, Nat Adderley, Joe Zawinul, Blood Sweat and Tears, Kenny Rankin, Bobby Shew, Conte Condoli, Mark Murphy, Sarah Vaughn, Nancy Wilson, Scott Hamilton, Art Farmer Quartet, Benny Golson Sextet, Count Basie, Eddie “Cleanhead” Vincent, John Klemmer, Betty Carter, Kenny Burrell, Horace Silver and Chuck Mangione to name a few.